It’s the Most Boo-tiful Time of the Year! I know that all of you are either getting ready for some serious cosplay or stockpiling candy for the ravenous hordes preparing to descend onto your doorstep. 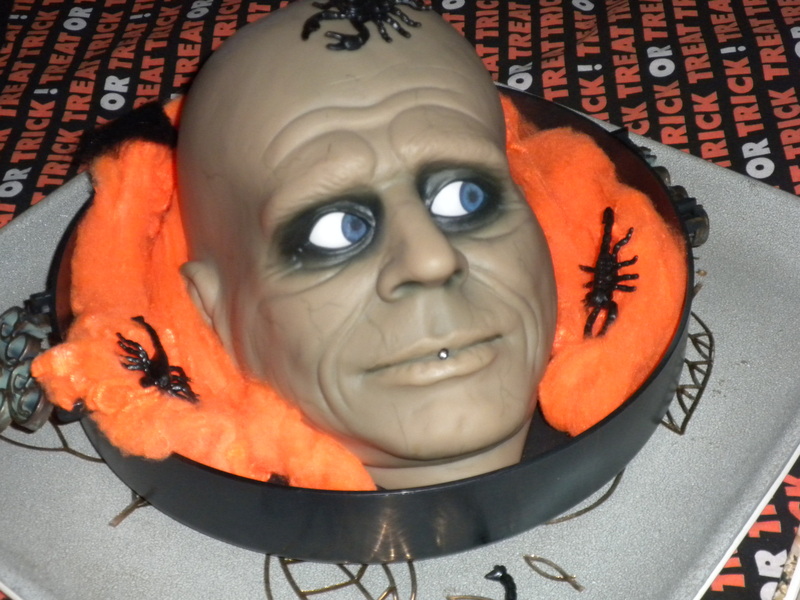 Be sure to read some scary books (see my post entitled Thirteen More Horrors for a reading list) and see some scary movies (see my post entitled Thirteen Horrors for a list of my faves from last year). 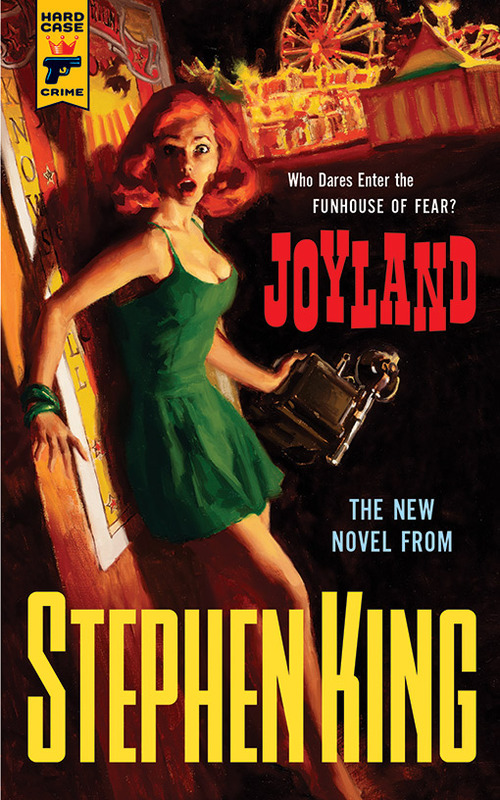 After a lifetime of hating Stephen King—not that I ever gave him much of a chance—I picked up Joyland chiefly because I thought the cover illustration by Glenn Orbik (above) was hot. It showed a scene that was not even in the book: a red-headed Erin Cook (a co-worker of the book’s hero) screaming in fear while casually wielding a Speed Graphic camera which, if she had ever made a regular practice of doing so, would have left her with a forearm like Popeye’s. So, what did I think? Actually, I liked the book. Partly because I am drawn to the whole carny world after reading William Lindsay Gresham’s Nightmare Alley, and partly because I thought King exercised admirable restraint in crafting the novel. I wasn’t quite sure about the action scenes at the end, and there were a couple of connections I never quite understood, but I liked the tone of the whole thing. Devin Jones is a twenty-one-year-old college student who spends a summer working for a North Carolina amusement park called Joyland. He is a man who has been discarded by his apathetic girlfriend Wendy, who, once she parts from him, consigns him to oblivion posthaste. He likes the carny lifestyle, makes friends easily, discovers he has a talent for entertaining “zamps” (small children), and doesn’t object to some of the less desirable tasks around the midway. He is drawn by the mystery of a young woman named Linda Gray who had been killed by an unknown assailant in the scary funhouse. In fact, he drops out of college and hangs on into the fall, when the only work is preparing the park for the next summer. During that time, he makes the acquaintance of a young mother with a severely disabled son—one who can foretell the future. You can bet this figures in the plot. Devin finally loses his virginity—to Annie Ross, the mother—and becomes a favorite of her son. Finally, it all comes together for Devin. The killer is … someone Devin knows who calls him at home minutes after his discovery and lures him to the park, where King suddenly goes into overt mode. 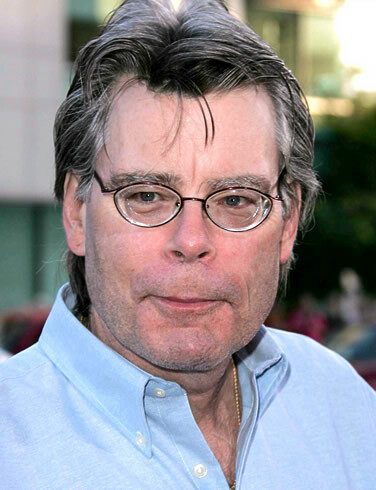 Perhaps one of the reasons I haven’t liked King all these years is that I thought he was too overt and not sufficiently psychological. But Joyland strikes a nice balance. Also, I loved all the carny slang, which King took from this website. Maybe, I’ll read some more King: I always liked Kubrick’s film version of The Shining. Perhaps I’ll read that, or Dolores Claiborne, as suggested by my friend Lynette. As I promised you, here is one of my photos of the condors at Cruz del Condor in the State of Arequipa. We were standing on the south side of Colca Canyon at a place that is famous for its thermals, which the condor population uses in the mornings as if it were an elevator to reach maximum altitude with minimum effort. Because I do not have a super-telephoto lens that weighs half a ton, I had to enlarge the condor in this image. Even when they’re rising on a thermal, condors are lightning fast—at the same time that they are gigantic. The Andean condor has a wingspan of up to 10½ feet. Curiously, there are larger birds: the Southern Royal Albatross and the Dalmatian and Great White Pelicans, whose span can be as much as a foot longer. Still, it is the condor that captures the imagination of South Americans. I’ll never forget seeing my first ones in Argentina in 2011, while Martine and I were taking a bus from El Calafate to Puerto Banderas to see the glaciers on Lago Argentino. Then, too, there is that most pervasive of songs, “El Condor Pasa,” a zarzuela composed by the Peruvian Daniel Alomia Robles in 1913 and popularized by Simon and Garfunkel in their Bridge Over Troubled Water album. If you’re not familiar with the tune, click here. In Lima, at the Palacio de Gobierno, I even saw a Peruvian military band goose-stepping to the music as they played it. Paintings of archangels done by the Quechua painters of the Cusco School of Art are wearing the wings of mature condors, which are two-toned. 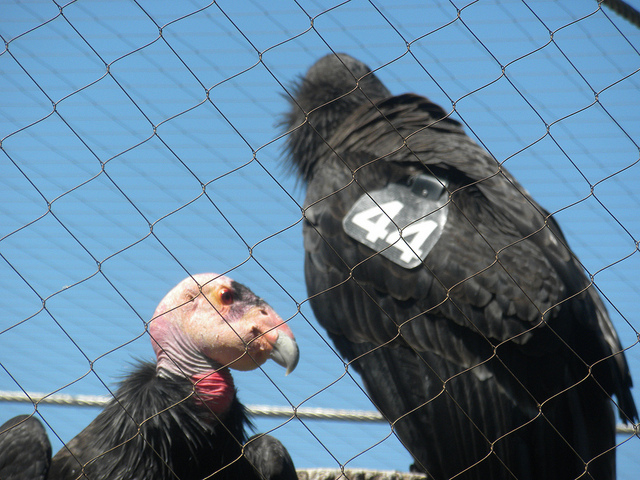 We in California have our own condors, which we are trying desperately to save from extinction. I saw a couple of them once at the Santa Barbara Zoo (below) looking very disconsolate from their extended captivity. God knows they are not the most beautiful of creatures, but they come close to being among the most magnificent. Even before my plane ever landed in Peru, I knew that there was a lot more to see than Machu Picchu. In fact, some of the sights were probably more interesting than Machu Picchu—and a whole lot easier to get to. It could very well be that the most interesting place I visited on my travels was Colca Canyon in the State of Arequipa. It is, together with nearby Cotohuasi Canyon, the deepest on earth—at points more than twice as deep as our Grand Canyon (though certainly not in the above photo). It was interesting not only from a cultural point of view, but for the range of activities available, the quality of services, and the outstanding scenery. Two native groups dwell in the area, often interspersed: the Collaguas and the Cabanas. From the time one approaches the altiplano at Patapampa (altitude 15,000 feet or 4,600 meters), one encounters them selling their handicrafts by the side of the road. One could buy quality alpaca sweaters, scarves, and other handmade objects for a few dollars. Around the canyon are a number of villages, including Chivay (the largest), Coporaque, and Maca. 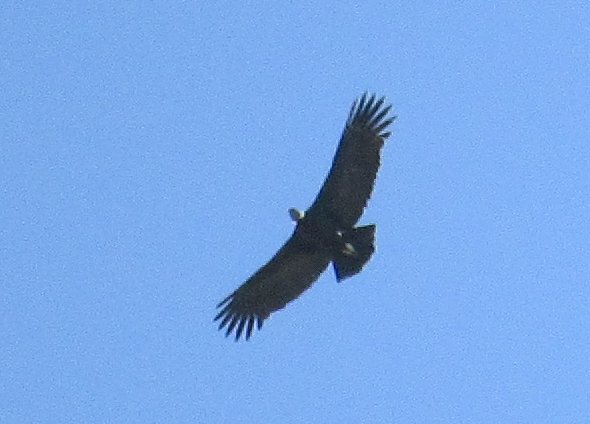 Along the south bank of the canyon west of Chivay is the famous Cruz del Condor, where one can see condors riding on the thermals in groups of two or three. (Look for a separate post on this later in the week.) The scene above is on the way to Cruz del Condor. 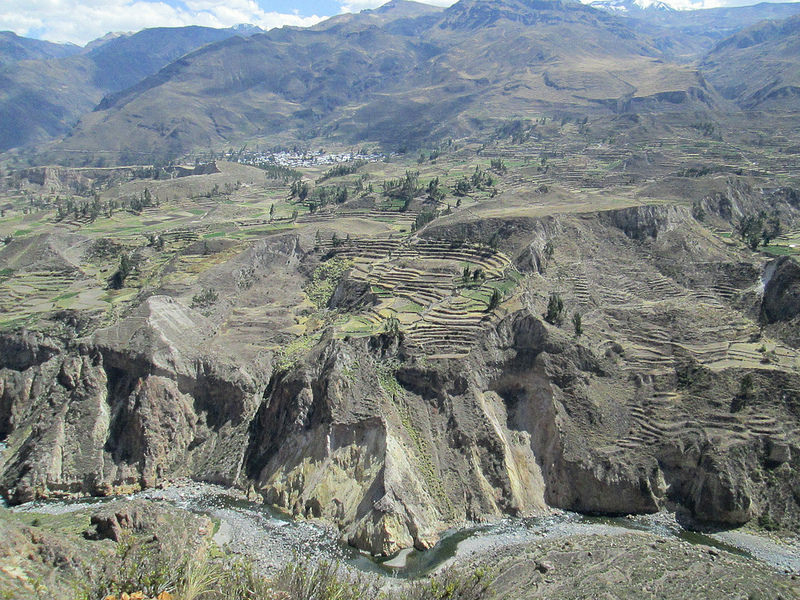 Visible on the other side of the canyon are agricultural terraces designed by the Incas. The Collaguas and Cabanas maintain them faithfully. This picture was taken at 12,000 feet altitude or 3,650 meters. I actually took a guided tour to Colca with Giardino Tours of Arequipa. I don’t usually do this sort of thing, but I had no cause to regret it. Our tour guide, Luis, was funny and intelligent, and I deliberately arranged not to participate in some of the strenuous uphill hikes (at high altitude) that were part of the program. (As I would frequently say, my intention was not to be buried at Colca Canyon). One useful feature of the tour was that we were dropped off in Puno, eliminating the need for a separate bus. Yesterday’s visit to the Grier Musser Museum near downtown L.A. put Martine and me into the holiday spirit. We discovered the museum and its fabulous collection of holiday-related antiques and displays as a result of watching Huell Howser’s shows on KCET. In all, he did two shows on the museum, so we decided it was a place we should get to know better. 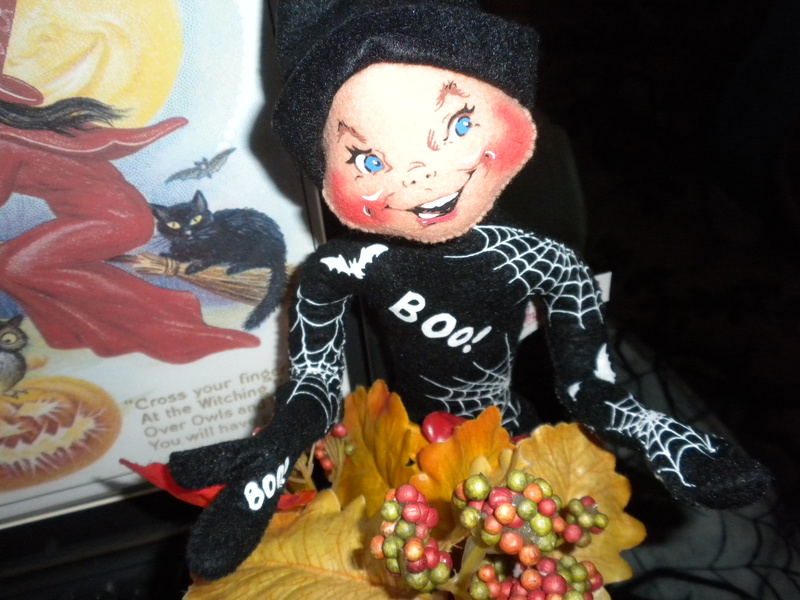 Although the museum has displays all year round, curator Susan Tejada puts together a special show around Halloween, Christmas, and Valentines Day—with the best show being around Halloween. Martine particularly enjoys talking with Ray and Susan Tejada over a snack of punch and cookies afterwards, one of the advantages of attending the museum’s holiday Sunday exhibits. If you want to visit the Grier Musser Museum, you have to make an appointment by calling (213) 413-1814. It is located at 403 South Bonnie Brae Street in the Pico-Union Area, which is near some excellent dining such as Langer’s Delicatessen-Restaurant with its great hand-cut pastrami, Papa Christo’s Greek Restaurant and Market, and a host of world class Korean restaurants. Somehow, the Grier Musser always puts Martine and me in a holiday mood. One of the problems with California’s apocalyptic drought of 2014 is that virtually every street is under construction—without fear of rain.Today, Martine and I visited the Grier-Musser Museum near downtown. 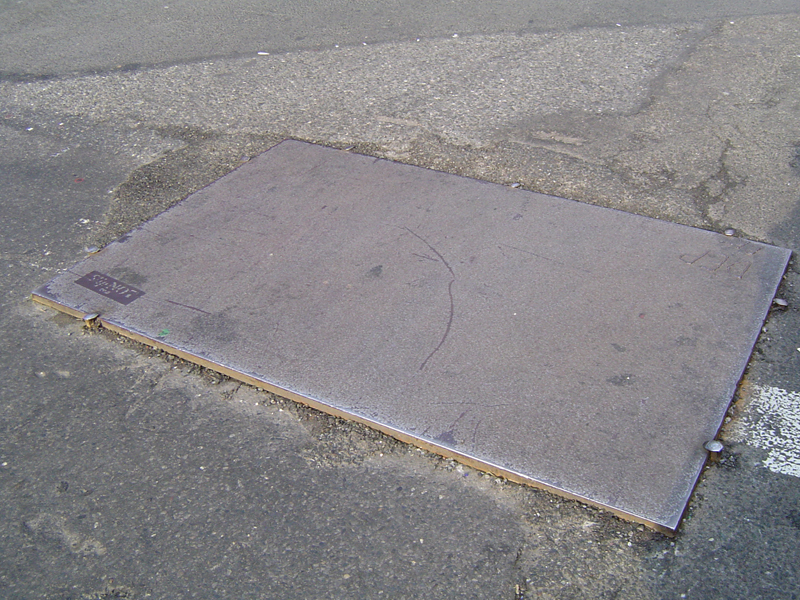 On the way home, we must have run over two hundred steel plates on Wilshire Boulevard, Beverly Drive, Fairfax Boulevard, and Santa Monica Boulevard. 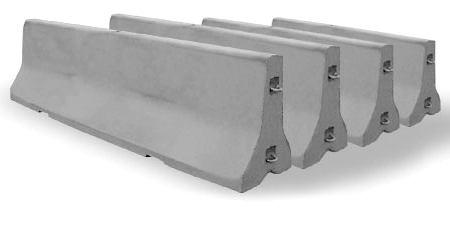 These were accompanied by perhaps a mile or two of K-Rails (known in the East as Jersey Barriers). Now that California is beginning to recover from the Great Recession of 2008, driving the streets of Los Angeles is like going back to the early days of motor cars, with the roads being in a constant state of disrepair. 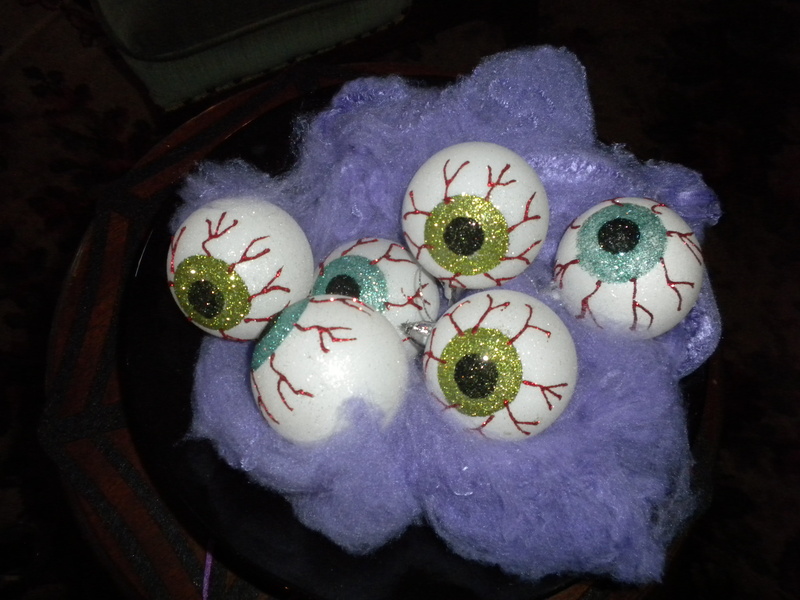 Usually, haunted house novels like to go in for crude effects. In contrast Jackson’s The Haunting of Hill House is delicately nuanced. 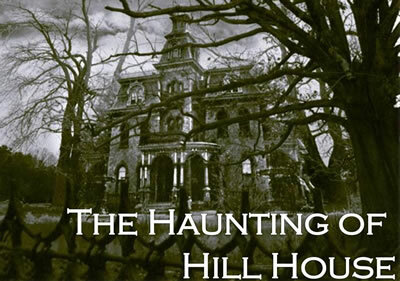 Does this haunted house really do any damage with all its noise and strange writing on the walls and apparent destruction of one lady’s wardrobe? 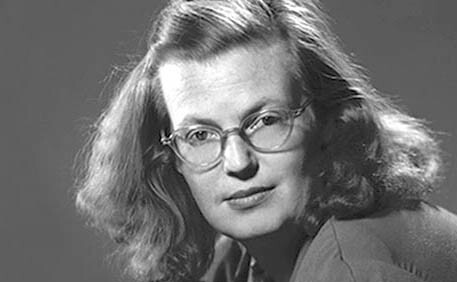 Actually, it does only one thing: It recognizes in Eleanor Vance, a spinster who is one of the party investigating the house, a kindred spirit. And it wants her. Badly. Journeys end in lovers meeting; I have spent an all but sleepless night, I have told lies and made a fool of myself, and the very air tastes like wine. I have been frightened half out of my foolish wits, but I have somehow earned this joy; I have been waiting for it for so long. This book deserves on the same shelf with that other great psychological story of haunting, Henry James’s The Turn of the Screw.